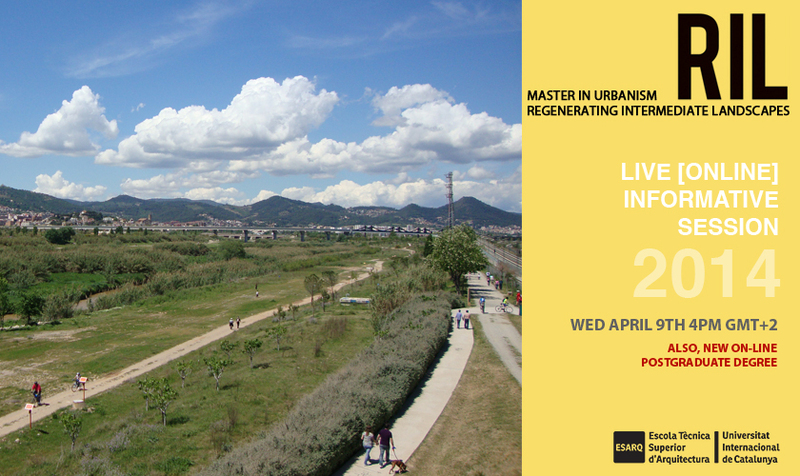 Next April 9 4:00pm (GMT+2), we’ve arranged a live (on-line) informative session for explaining the Master Degree in Urbanism ‘Regenerating Intermediate Landscapes (RIL). We will also introduce the new RIL’s Online Postgraduate Degree. This new programme provides the methodological grounding to regenerate contemporary landscapes that are both hybrid in nature and undergoing a transformation, through the integration of scales, methodological approaches and actors. See you on Wednesday 9th April.